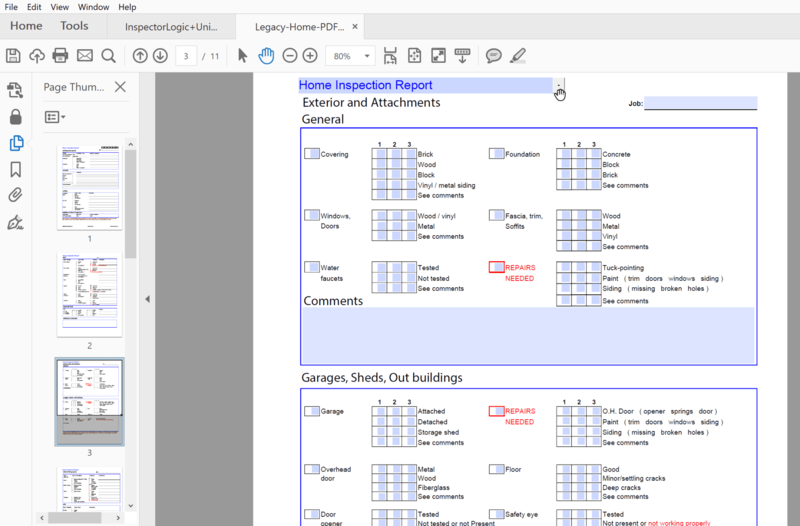 Legacy Home is the industry's first Interactive PDF report that can be completed, saved, and e-mailed directly to your clients or to real estate agents as a PDF. Download the report and you'll be up and running in only minutes! 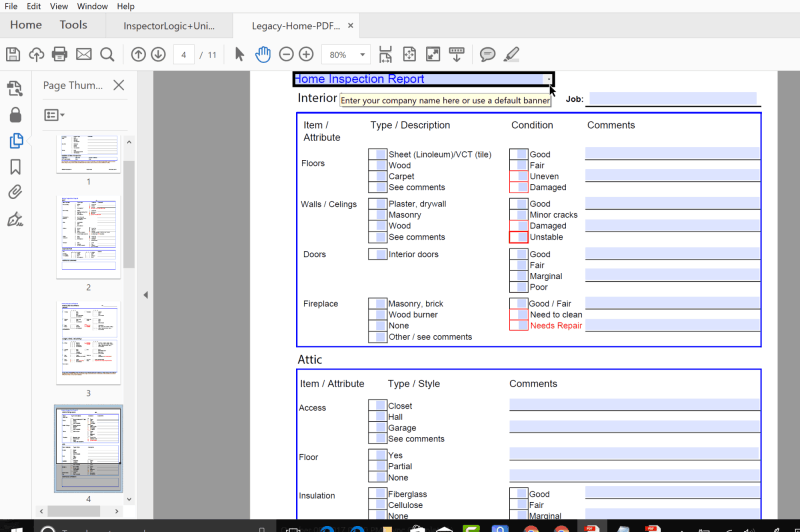 The Report is in the popular PDF format. 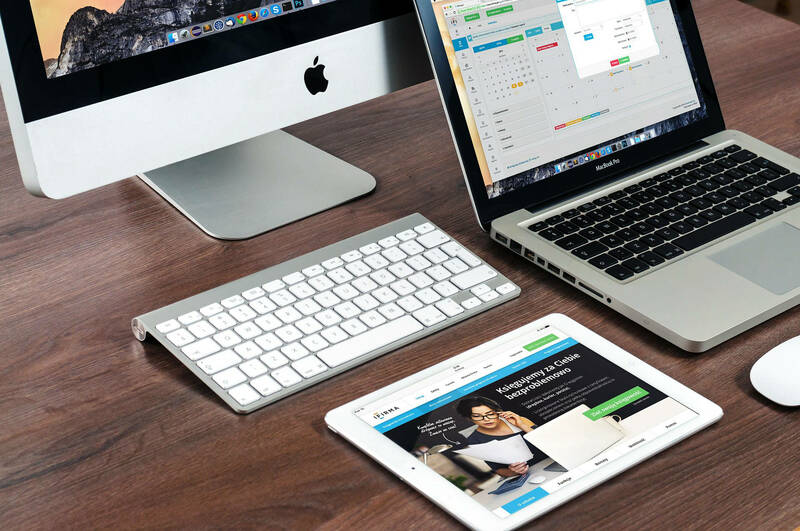 PDF has become the industry standard for electronic documents and PDF readers are already installed on almost every desktop, laptop, tablet, and smartphone. Even if you don't already have a PDF reader, free readers are available FREE from Adobe.com and other sources. 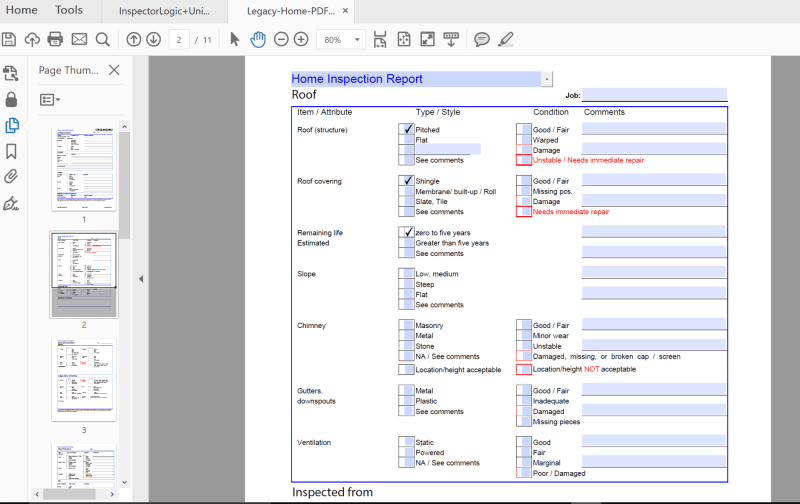 Now, put the power of the PDF to work for you with the BestInspectorsNet Legacy Home Inspection Report. 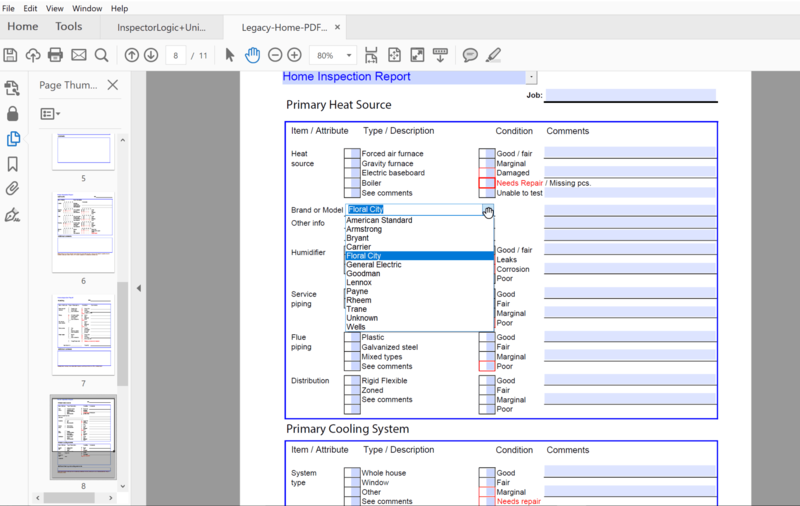 Legacy Home is the Home Inspection Industry's 1st PDF Inspection report that allows you to save your reports electronically using only the FREE Adobe Reader on Windows or Mac! 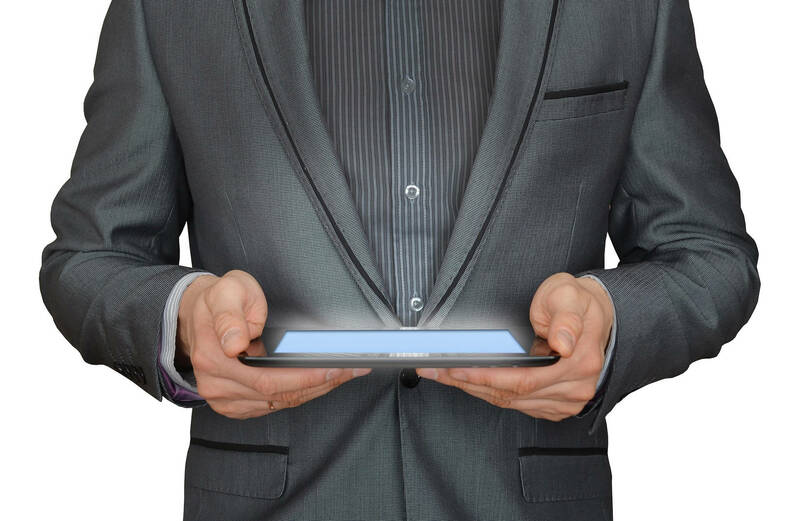 Now - for the first time, you can use the free reader to save your completed PDF reports as a PDF that can be e-mailed, put on a CD or printed on paper. 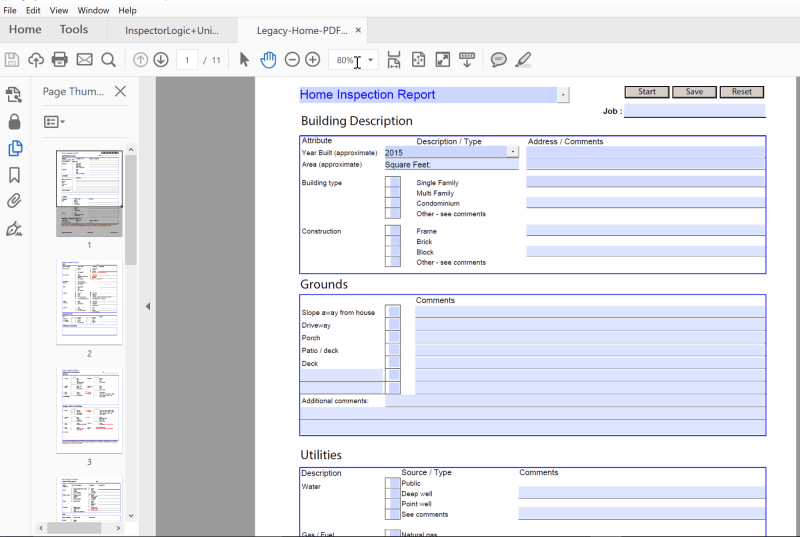 Legacy Home uses latest in PDF technology. RUR or, Reader Usage Rights, allows the user to save the completed report to a PDF file. 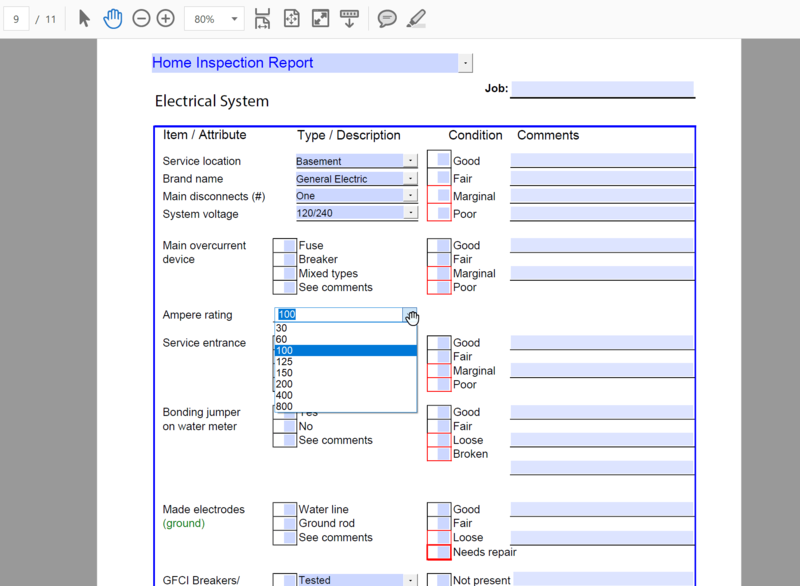 Other PDF Home Inspection Reports do not allow you to save the completed report as a PDF file. They require you to print the report on paper. With other PDF reports, you cannot distribute the report as a PDF file unless you have the full (expensive) version of Adobe Acrobat Pro. Buy once, use it forever! • PDF Print Driver. Windows 10 has a built-in PDF Print Driver. Free PDF Print Drivers are available in the FREE STUFF section of this website for Mac and earlier Windows versions. • The download files are either a Windows installer or a ZIP file (macOS, iOS, and Android). You may download either or both with your purchase.